The controversial film director has been reported to authorities by the Antifascist League. A criminal complaint against film director Jakov Sedlar has been filed due to historical counterfeits that he used during the production of his documentary “Jasenovac – The Truth”. The complaint has been filed by the Antifascist League of Croatia due to criminal offense of incitement to violence and hatred, reports tportal.hr on July 15, 2016. In the explanation of the compliant, the Antifascist League states that Sedlar in the film publicly denied and significantly reduced the crime of genocide, crimes against humanity and war crimes, primarily directed against members of Serbian national minority, using mistaken concepts, false arguments, counterfeits, concealment of historical facts, in a way which can encourage violence or hatred against the group and its members. The film denies, according to the Antifascist League, and significantly reduces the scope of genocide committed against Jews, Serbs and Roma, and entices hatred primarily against Serbs. The League finds that the film, by expressing untruths about the Serbian minority, creates extremely negative atmosphere of hatred, intolerance and demonization of certain groups and their members, which is a typical process of creating the preconditions for promoting animosity and hatred in the public as well. They also hold that the director clearly presented demonizing and discriminatory attitude towards an entire community based on their ethnic identity and ethnicity. “With the distribution of the film throughout Croatia, in particular in schools, and abroad within the Croatian communities, the organizers seek to encourage others to adopt the ideas presented in the film and create feelings of deep animosity and hatred towards the Serbian minority group. Based on all the above, we urge the responsible authorities to carry out the actions prescribed by the Criminal Procedure Code in order to raise official criminal charges against the accused”, states the criminal complaint. The Anti-Fascist League of Croatia filed a criminal complaint to the state attorney’s office on Friday, accusing film director Jakov Sedlar of “public incitement to violence and hatred”. The League claimed that Sedlar used his film Jasenovac – The Truth, focusing on the Croatian fascist WWII concentration camp at Jasenovac, to target the country’s ethnic and religious minorities, particularly Serbs. The movie premiered in Zagreb in April, at a screening attended by the controversial culture minister Zlatko Hasanbegovic, and sparked negative reactions from Croatian Jews. The Israeli ambassador to Croatia, Zina Kalay Kleitman, wrote in an open letter that the film “attempts to revise historical facts and offends the feelings of people who have lost their loved ones in Jasenovac”. According to the list made by the memorial site at Jasenovac, while the country was ruled by the Nazi puppet Independent State of Croatia, NDH, Croatian Ustasa fascist units killed 83,145 people at the camp between 1941 and 1945. The vast minority of victims were Serbs, Roma and Jews. The Anti-Fascist League of Croatia filed a detailed criminal complaint in which it claimed that Sedlar had falsified the death toll at the camp, rejecting both memorial site numbers, as well as figures given by Yad Vashem centre in Jerusalem, the Simon Wiesenthal Centre in Vienna and the Holocaust Memorial Museum in Washington. The League claimed that by doing this, Sedlar tried to prove that the Communist authorities killed more people at the camp after the NDH was ousted than the Ustasa between 1941 and 1945 – an allegation which has never been substantiated. “[Sedlar] concealed the scientifically-established facts of the genocidal character of the NDH,” says the League’s criminal complaint. It accuses Sedlar of avoiding mention of the Ustasa units and NDH government’s involvement in genocide and crimes against humanity and trying to portray Jasenovac as “a communist myth”. The League also said that in the film, Sedlar used a faked photo-montage of a 1945 front page of the Croatian newspaper Vjesnik in his attempts to show that the Communists falsified facts about Jasenovac. The front cover used by Sedlar was proven to be a fake in April by journalist Lovro Krnic, who went through all the issues of the newspaper from that period. Sedlar rejected this however, claiming it was the original front page that “can’t be found in the archives”. He also insisted that the Jasenovac death toll had been inflated by the Communists. The Leaguealso claimed that in the film, Sedlar used forged letters allegedly sent by NDH leader Ante Pavelic, among other inaccuracies. 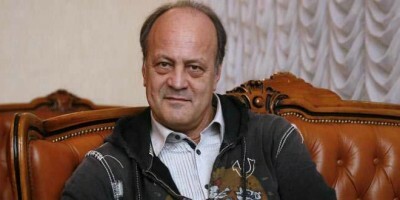 “Therefore, by creating untruths, he says something extremely negative regarding the Serb minority in the film, creating an atmosphere of hatred and intolerance and demonising certain groups and their members in a typical process of creating the preconditions for promoting animosity and hatred among the public,” the criminal complaint alleges. Sedlar has not yet commented on the complaint.